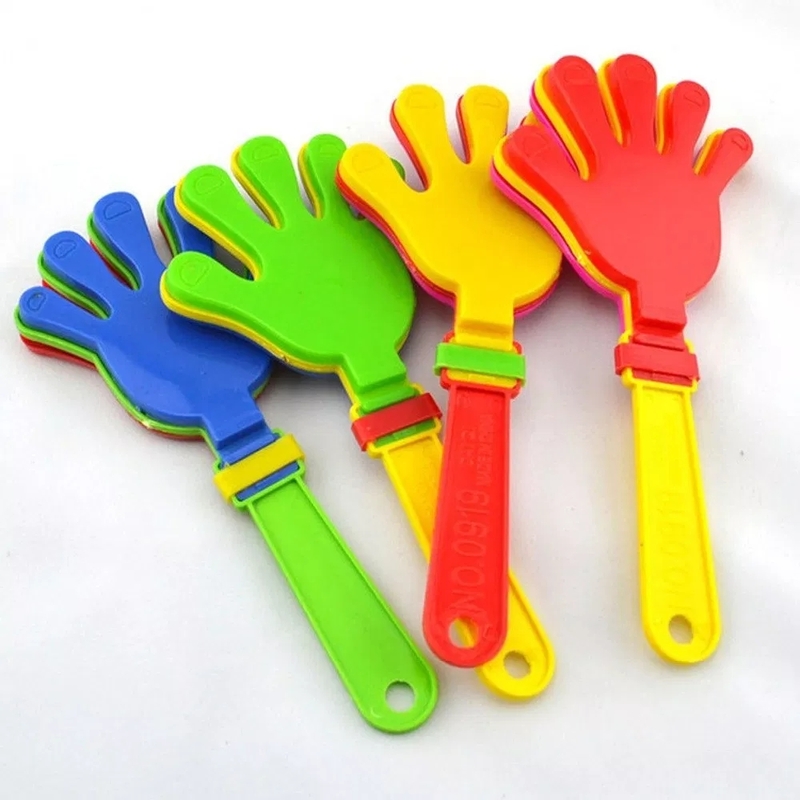 This small size plastic hand clapper, also known as noisemaker, 4 different palm colors. Will make clear clapping sound. Different size options. We can do the color as your request. Your logo is welcome.